I hope you all have had a chance to read the wonderful note Ted Hess-Mahan sent to the list-serve and posted on the FUUSN Facebook page about Mandy Beal’s Ordination here at FUUSN — 4:00 p.m. on Sunday April 22. Services of Ordination and Installation are profoundly meaningful moments in the life of congregations, our movement and our ministry. I am honored that Mandy asked me to preach the Sermon of Ordination at the service — yet I know that the most important role in the service belongs to you all. The Act of Ordination is an indescribably powerful moment. On that day, led by Cathy Morocco, the Chair of our Board of Trustees, Mandy will stand before you all as you stand in unison the Act of Ordination. Mandy worked hard for this moment;, she received an M.Div. 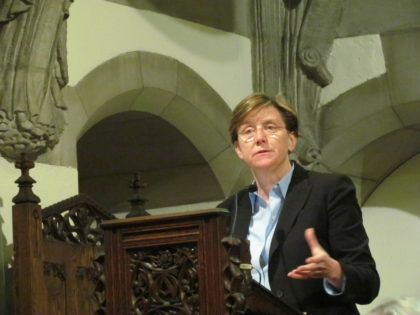 from Andover Newton Theological School, completed an internship, a hospital chaplaincy and other requirements of our UU Ministerial Fellowship process — including meeting with and passing through (with the highest mark) the Ministerial Fellowship Committee of the UUA — and yet none of that preparation will make her a minister. In our faith tradition, only congregations hold the sacred duty of actually ordaining someone to our ministry. “We, the members of the First Unitarian Universalist Society in Newton, do hereby ordain you……” those powerful words will be the beginning of what you all will say together. The result of which is that our ministry will gain a talented and committed leader, you all will have taken your place in the line of congregations that tend to the future of our faith and I will most likely be crying in my pew. I look forward to being part of this important moment in the life of our faith and thank you for assuming such an essential and noble responsibility.